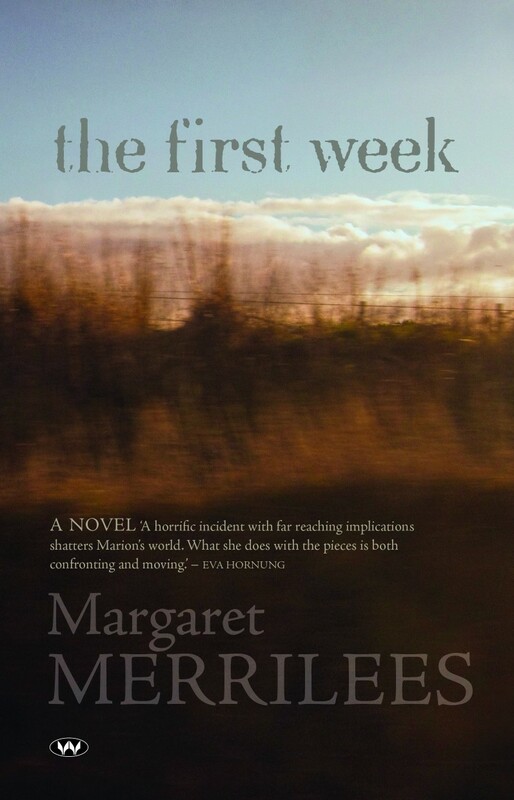 ‘The First Week’, winner of the 2012 Unpublished Manuscript category of the SA Festival Awards at Adelaide Writers Week . Shortlisted for the Barbara Jefferis Award 2014, Australian Society of Authors. Shortlisted for the new writing category of the NSW Premier’s Literary Awards 2014. Her son’s actions shatter Marian’s life. As the days pass she is haunted by layers of grief rising like the salt of the degraded earth. The novel has its roots in the ancient landscape of southern Western Australia. It is the story of a journey from the country to the city and back again, a journey that will change Marian forever. Longlisted for a Nita Dobbie Award 2014. Katherine England in The Advertiser 26/10/13: … the very human and believable characters ensure that the reader remains engaged, stimulated and often moved. William Yeoman in The West Australian 24/9/13: It’s an impressive debut, its trajectory tautly stretched over a compact frame that nevertheless allows for expansive character development. I have been profoundly touched by your book, The First Week. Somehow you have managed the whole political web so clearly by allowing Marian to struggle through till she could understand, and yet, you showed us that Marian, as a child, also was adversely affected by circumstances. So balanced. I’ll recommend this read to all my friends. Thank you Gladys – that’s good to hear! Just wanted to say I really enjoyed this book. I say it was an award winner on our local library website so picked it up. Was drawn in by the characters and the story. I like the way it didn’t actually focus on Charlie but around the incident bringing a whole cast together in leading and minor roles. I so felt for Marian. Her pain and exhaustion were at times palpable. I even felt connected through Jeb, the faithful friend at beginning and end of the book. I have never posted a comment on any book before although reading is a passion. I just wanted to encourage Margaret in her writing and wish her well. Thank you for sharing these characters and bringing their story to life. And for opening up a whole new geography and way of farming life to me. Your contribution to my life, learning and literary experience is appreciated. All the very best…. That’s lovely Lorraine. Thanks for your encouragement – I appreciate it! I have just finished “The First Week” and I was totally drawn in by it and thought it was sensitively and perceptively written. It made me explore how I would feel if something similar happened to me or mine. As it happens, I had also just read Tim Winton’s “Eeyrie” which is also set in WA – Fremantle predominantly- and I was in Albany as I was reading both. I have to say I found your writing more “seamless” and engaging than Winton’s. I was also affected strongly by the experience of the legal system which you described. While I don’t practise in criminal law, (I gave it up years ago), I could empathise with the awful disconnect of someone thrust into it , (and probably into any area of it including the Family law area in which I do practise). I am delighted to have found your writing I will try and follow it in the future. I hope there are more books coming. I shall be recommending this to all and sundry. I endorse the two comments above. I just loved this book. The brilliant writing, the gripping story, the creation of tension and the landscape, both urban and rural. Moreover it addressed some complex issues in a skilled, sensitive way and had me, the reader, full of compassion for the protagonist, Marion. Congratulations Mag!